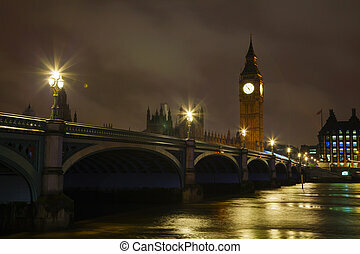 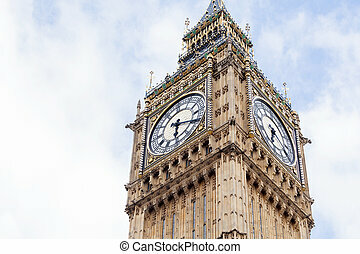 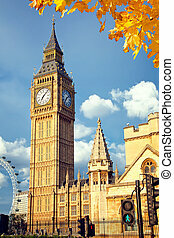 Big ben tower in london, uk. 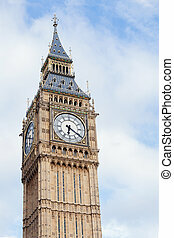 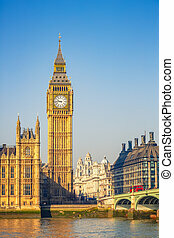 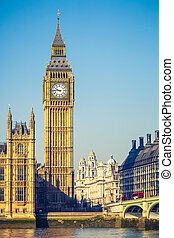 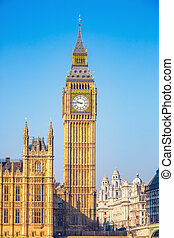 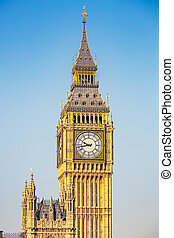 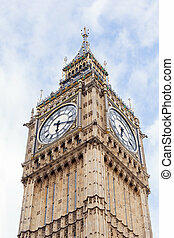 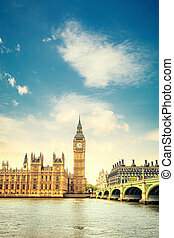 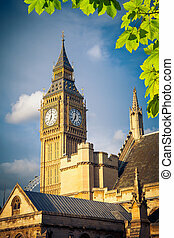 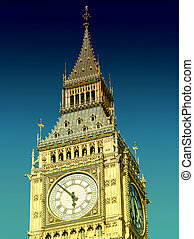 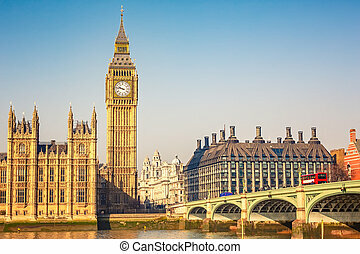 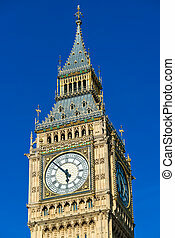 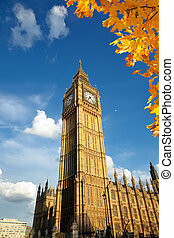 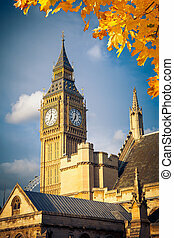 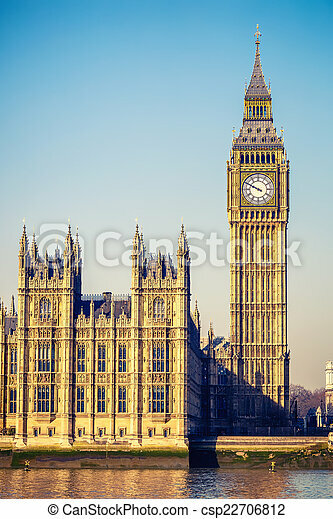 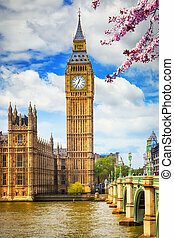 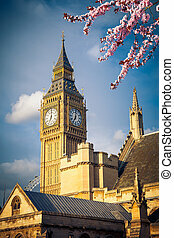 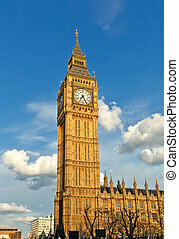 Big Ben Tower in London against blue sky. 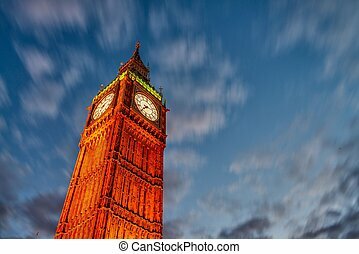 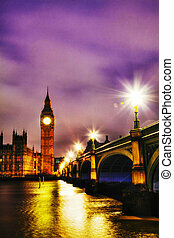 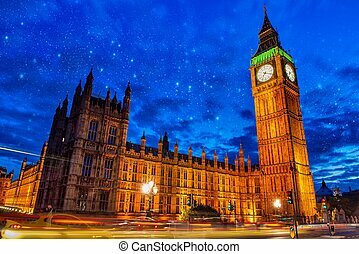 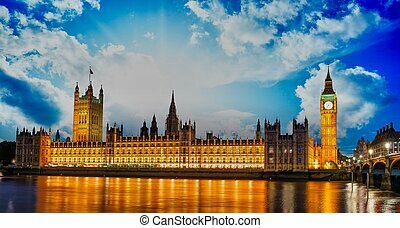 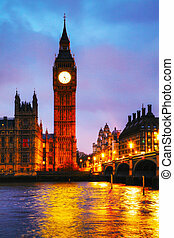 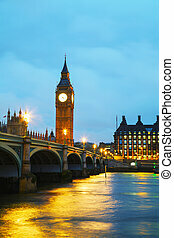 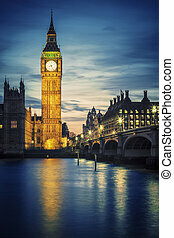 Famous Big Ben tower in London at sunset, UK.